Yes, this handsome guy’s heart is already stolen and today we will tell who is the one who did this. And also, about the show and of course Ryan Serhant as well. So stay with us to find out some juicy news! As you may already know “Million Dollar Listing New York” is an American reality television series on Bravo. It is a spin-off of “Million Dollar Listing Los Angeles” that premiered on March 7, 2012. The series follows three real estate agents, Fredrik Eklund, Ryan Serhant, and Luis D. Ortiz, as they represent sellers of properties in the five boroughs of New York City. The show was nominated twice for Emmy awards. In 2014, in the “Outstanding Unstructured Reality Program” category, and in 2015 for the same category. The fifth season of the series premiered on April 21, 2016 and on October 27, 2016, the show was renewed for a sixth season. And now let’s move to one of the stars of the show, Ryan Serhant. 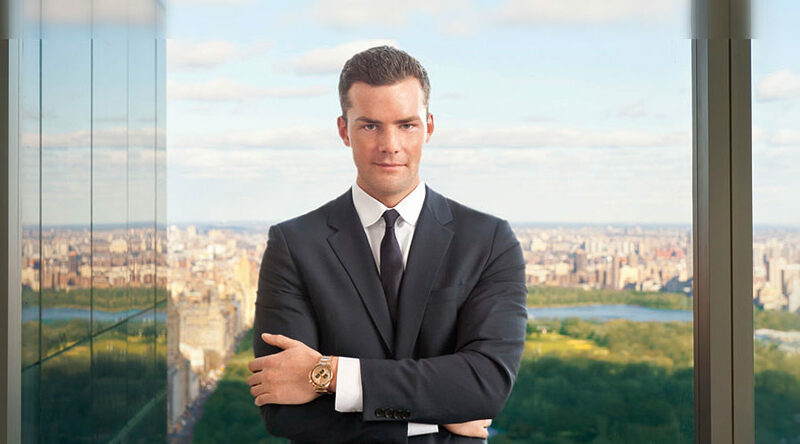 Ryan Serhant graduated from Hamilton College in 2006 with Degrees in English, Literature, and Theatre. After College, Ryan moved to New York City for a starring role on the Soap Opera, “As the World Turns.” Always up for a challenge, Serhant took the advice of a friend and decided to pursue a career in real estate. Serhant walked into the offices of Nest Seekers International, one of the largest real estate brokerage firms in New York City, and was offered a job. Serhant’s dreams were about to become a reality in more ways than one. Serhant’s tireless work ethic paid off and he was quickly promoted to Executive Vice President and Managing Director of Nest Seekers International. In less than 5 years, Serhant sold nearly 1 Billion dollars in real estate and was ranked as one of the top 20 real estate brokers out of 28,000 in New York City by The Real Deal Magazine, and the #1 broker under 30. Serhant has an excellent reputation and counts some of the World’s most influential people as clients. Serhant’s friendly demeanor and unwavering dedication to clients are one of the keys to his success. In fact, Serhant believes that anyone can achieve success in real estate by building a brand that is appealing, personality driven, unique and strategic. Serhant developed his winning strategies through hard work, dedication, creativity and innovative thinking, but cautions that the work will only pay off if you Believe in yourself. Serhant’s motto: “Expansion. Always, in all ways.” Serhant’s real estate team has grown to include 8 seasoned agents, allowing him to service clients all over the world, 24 hours a day, 7 days a week. Serhant’s extraordinary success brought him back to television when he was least expecting it. Producers of a new real estate television series cast Ryan in a starring role. The series, Bravo’s “Million Dollar Listing New York” is a huge rating success and airs internationally. Serhant’s television career expanded to include appearances on 20/20, CNN, CNBC, The Today Show, The Insider, Bloomberg TV among others. Serhant is frequently quoted in the New York Times, Wall Street Journal, Wall Street Journal China, Boston Herald, New York Post, New York Daily News. Serhant takes pride in his accomplishments and his success has allowed him to help others. Serhant supports non-profit organizations such as Share Our Strength, Habitat for Humanity, The Human Rights Campaign, and Charity Water. And now meet the woman that made New York’s shark fall in love. 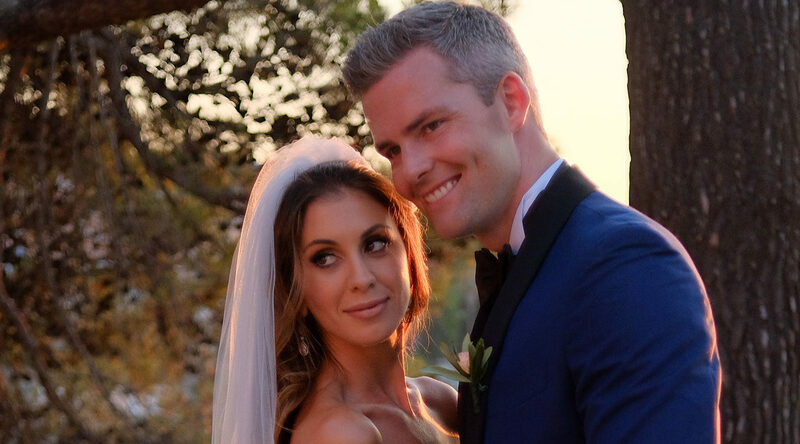 She’s appeared on “Million Dollar Listing New York” a few times over the years, and she’s always been encouraging her boyfriend, now husband, to ease up on his aggressive workaholic schedule and spend more time working on his relationship with her.But, since the two are now married and are getting their very own Bravo special, it’s worth learning more about Emilia than just what’s obvious from seeing her on TV before (which is limited to: She’s pretty, she made Ryan learn how to dance, and she lives in NYC). Now, it’s time for people to realize that both members of this couple are actually worthy of their own spotlight. She is Greek. And Ryan says,”Emilia’s whole family is from a little village called Mani, and Mani was the one village in all of Greece that has never been taken over by anybody else because they’re known for being insane and having tempers that are crazy. That’s what I’m marrying into.” But she was born in New York so, she is a real New Yorker. After leaving Greece for school in London at 18, Emilia became a barrister, specializing in maritime law. However, she’s not longer practicing. About six months ago she stopped practicing law in order to get into real estate and decided to get into Land Title Insurance. So, we can only to congratulate this sweet love couple with finding each other.